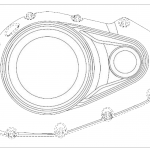 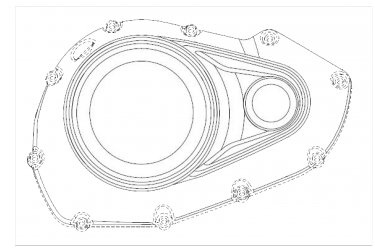 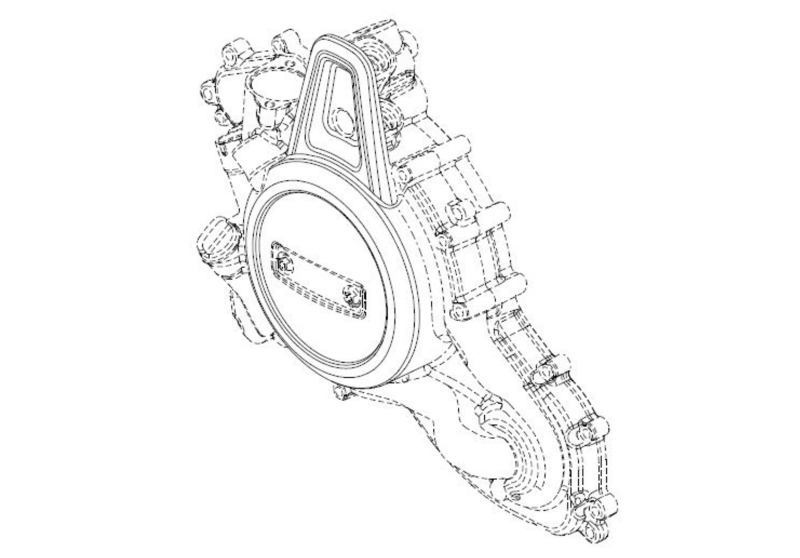 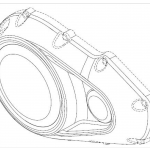 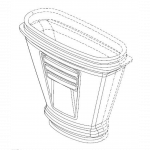 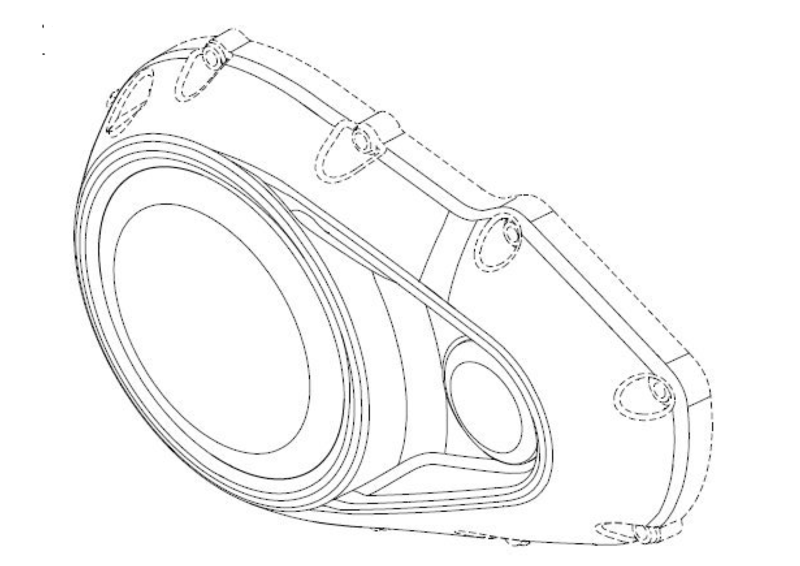 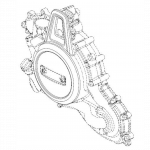 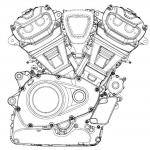 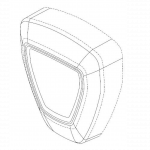 Harley-Davidson actually submitted multiple filings to the EUIPO, one for the engine in whole and seven more detailing individual engine cover components. 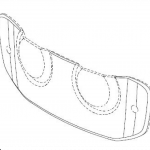 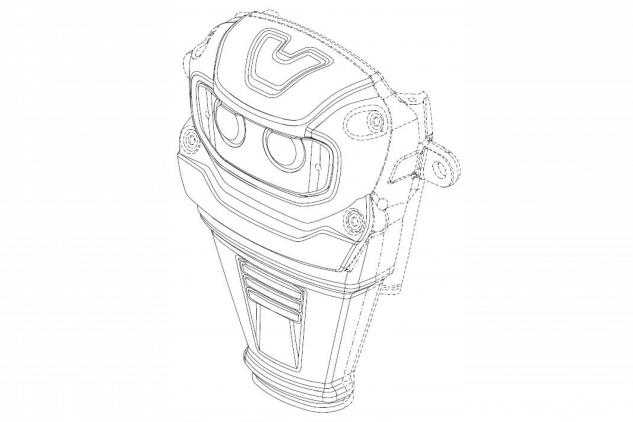 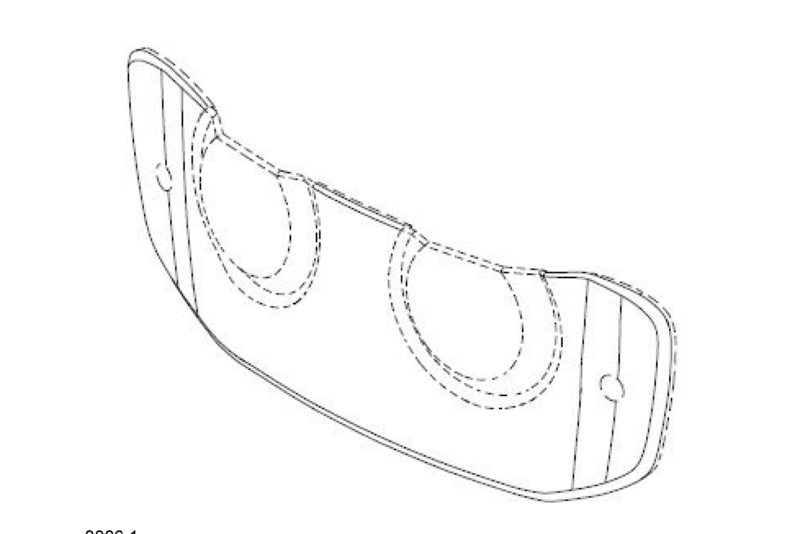 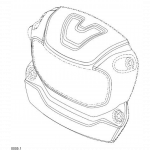 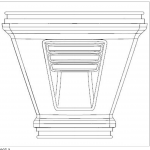 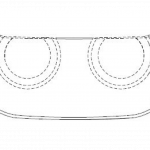 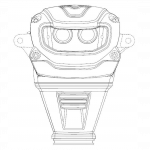 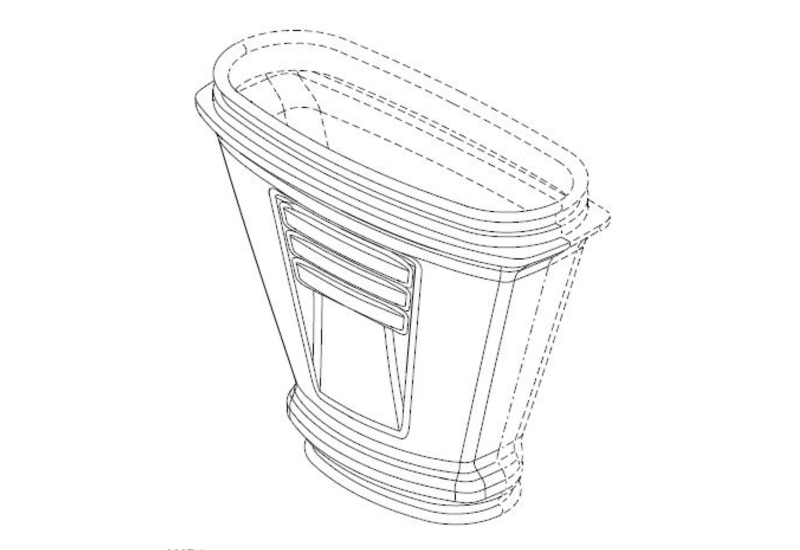 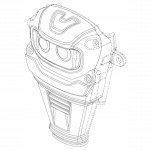 These design registrations were filed the same day as the designs for the Pan America, Custom 1250 and Streetfighter that Motorcycle.com was first to report when they were published by the EUIPO in February. 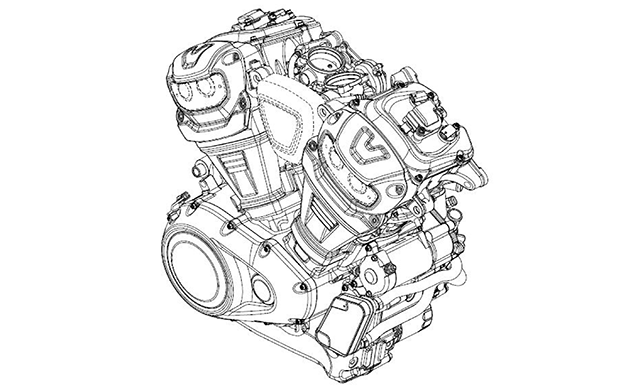 At the time, the designs for the three bikes showed the engine in hashed lines, making it difficult to see any details. 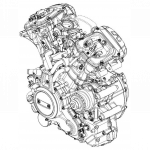 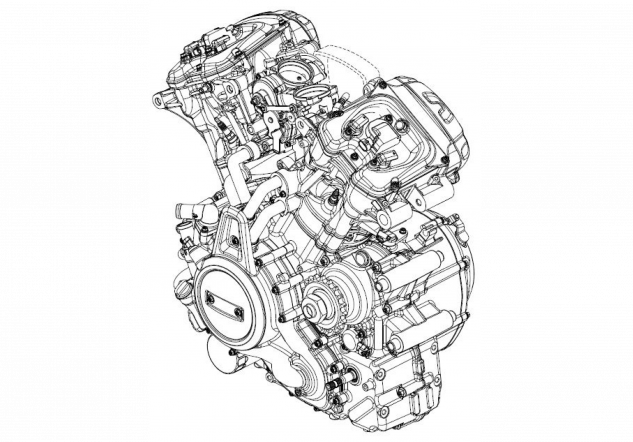 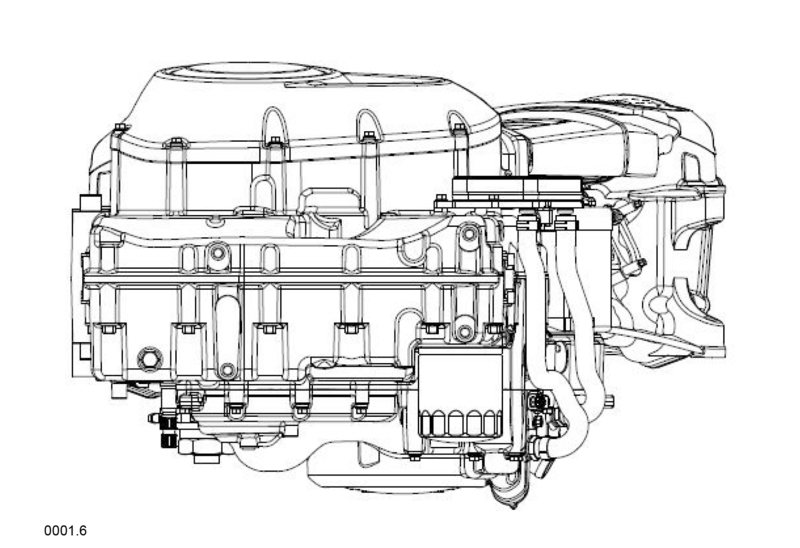 Thanks to these newly released drawings, we have a better idea of what the engine looks like. 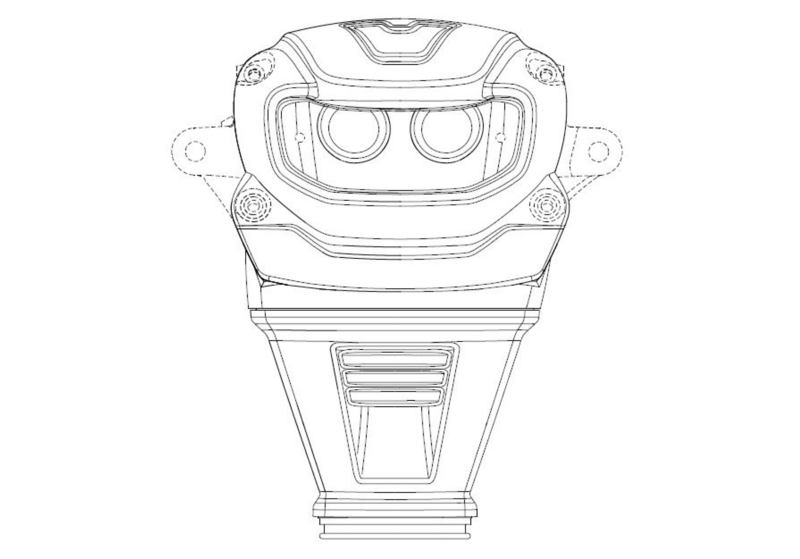 First off, the designs affirm what we already know about the new engine platform. The engine will be a 60-degree V-Twin with a very compact crankcase and transmission. 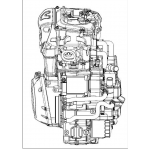 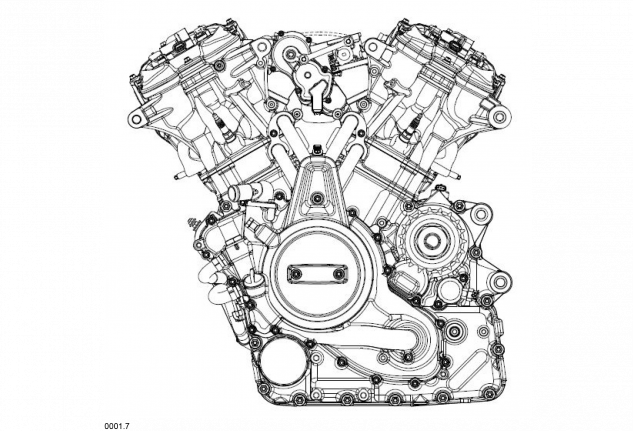 Unlike the V-Rod and Street engines (and, obviously, the mixed air- and liquid-cooled Twin-Cooled engines) the new engine embraces its fully liquid-cooled nature, with just a subtle hint of vestigial air-cooling fins. 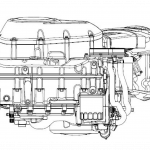 We can see mounting points behind the transmission and on either side of the cylinder heads, and the concepts suggested the engine will act as a stressed member of the chassis. 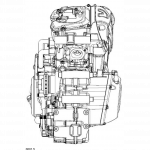 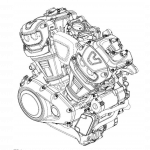 The designs don’t indicate any engine displacements, but Harley-Davidson is already on the record about four engine sizes from 500cc to 1250cc. 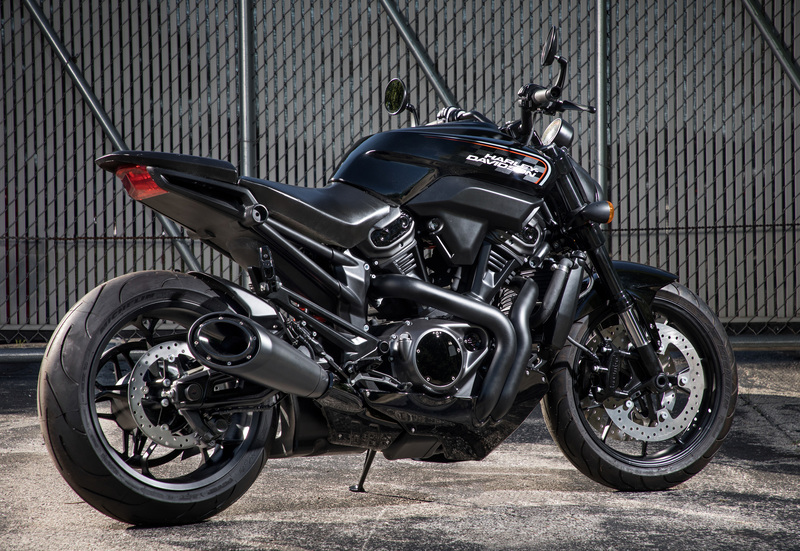 We know the Streetfighter concept (which we believe may eventually be called the Harley-Davidson Bronx) has a 975cc engine, while the remaining engine size will probably be around 750cc. 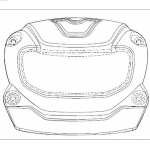 There are a few differences between the registered designs and the concepts. 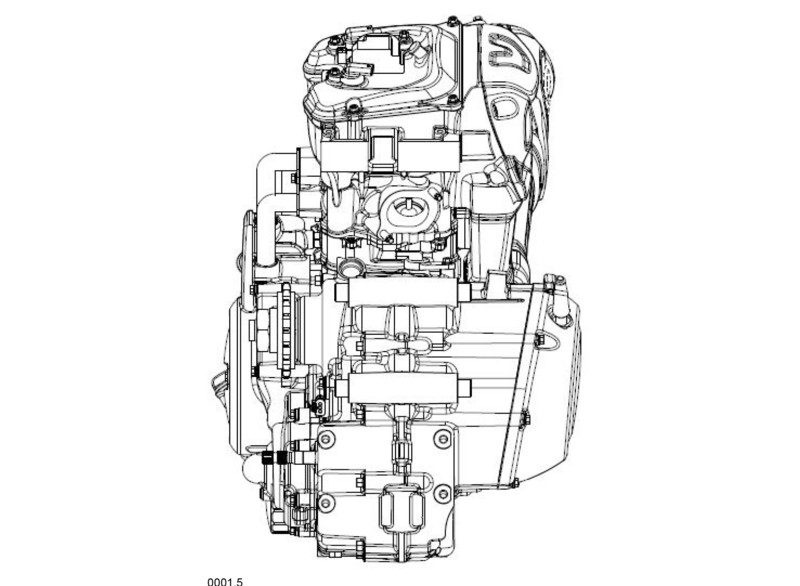 Take a look at the engine cover below. 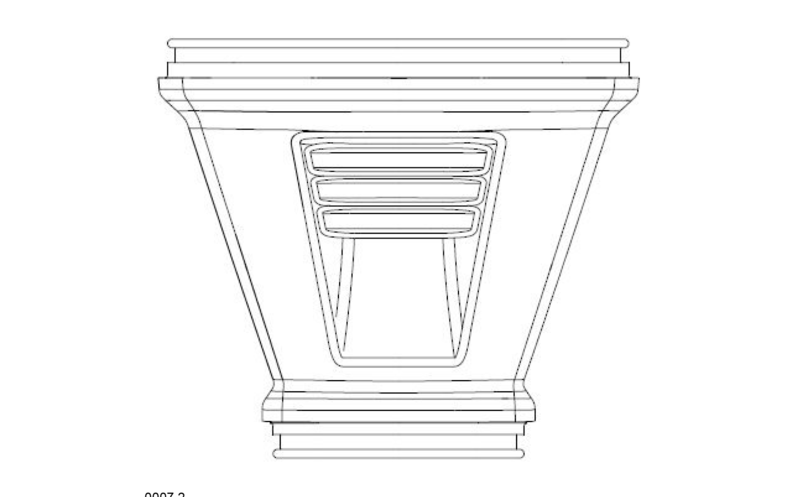 Though the images are from different angles, it’s clear from the mounting bolts locations that the designs show a different shape. 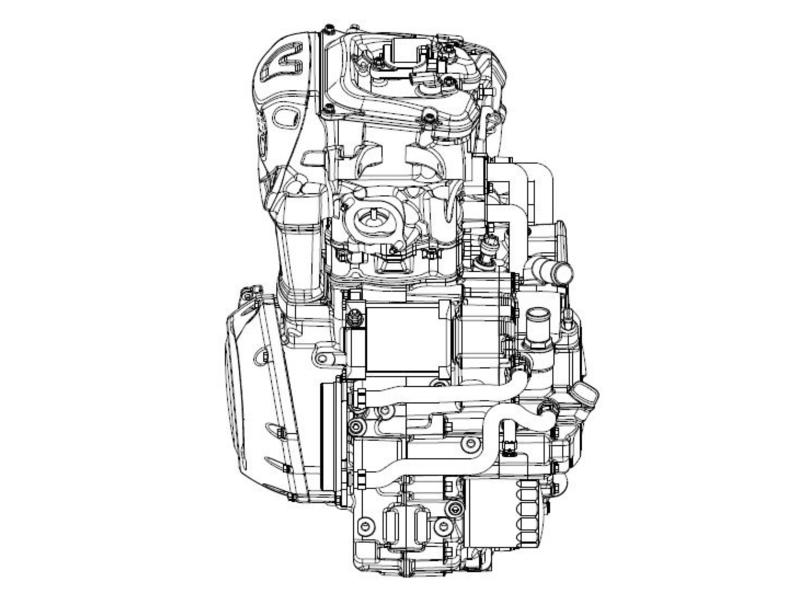 Also missing is the oil fill port, which the designs show on the left side of the engine. 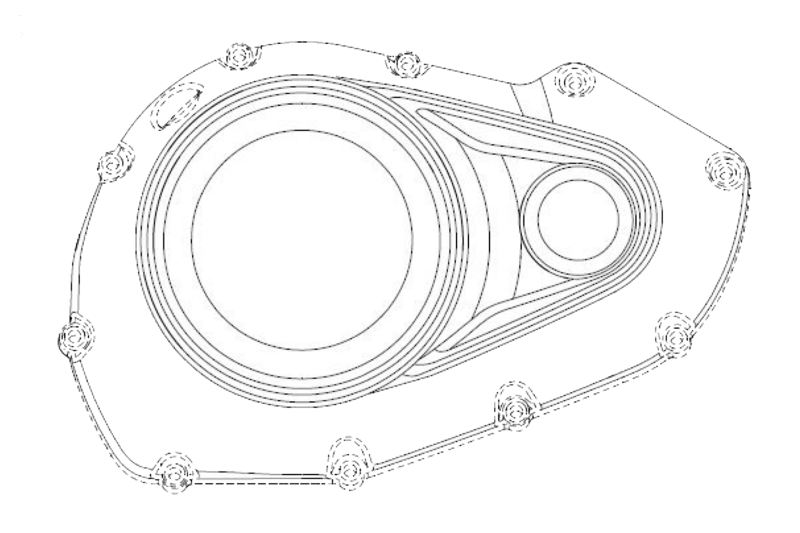 These differences suggest the designs may be representative of what the eventual production engine will look like. In fact, this illustration above gives us the first good look at the left side of the engine. All of the photos Harley-Davidson has released of its three concepts are from the right. 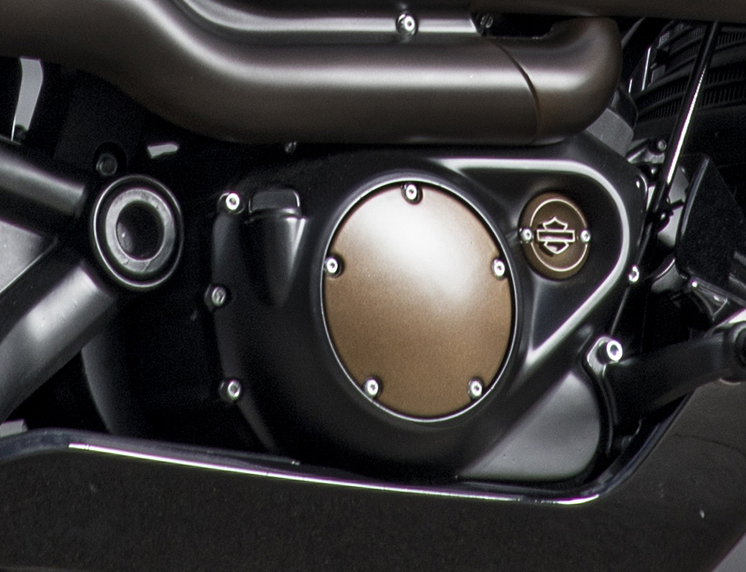 Perhaps Harley-Davidson was concerned about the reaction the faithful will have to all the visible hosing on this side. 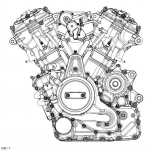 The V-Rod and Street engines, by comparison, had a much cleaner look. The right side may be jarring enough for the Harley crowd, lacking pushrods and cooling fins. 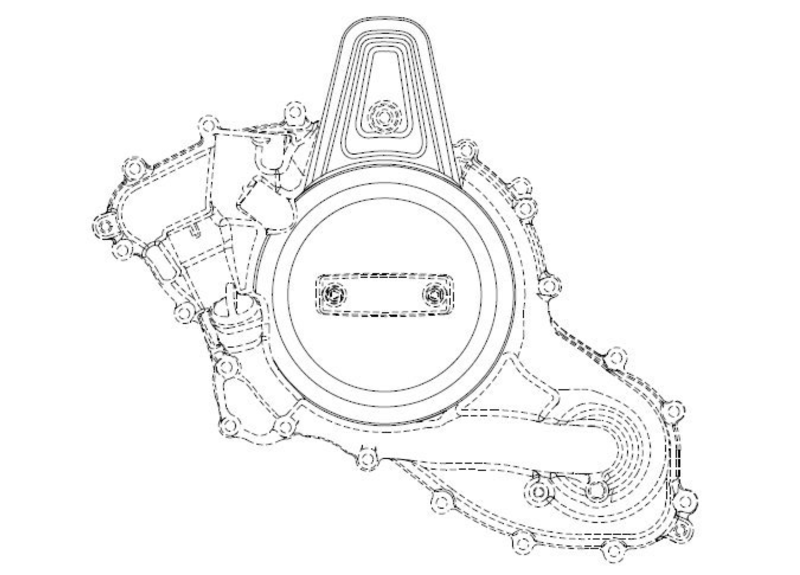 The covers on the right side of the cylinders looks a bit like a robot, with two circles for the double-overhead cams resembling eyes. 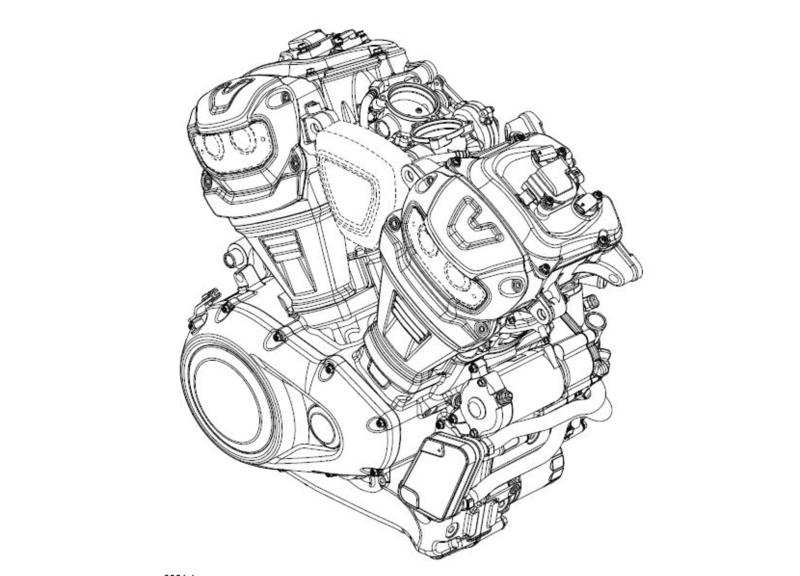 Looking back at the original concept models, you’ll notice that the engines all look slightly different between the three bikes, as the engine platform is meant to be modular. 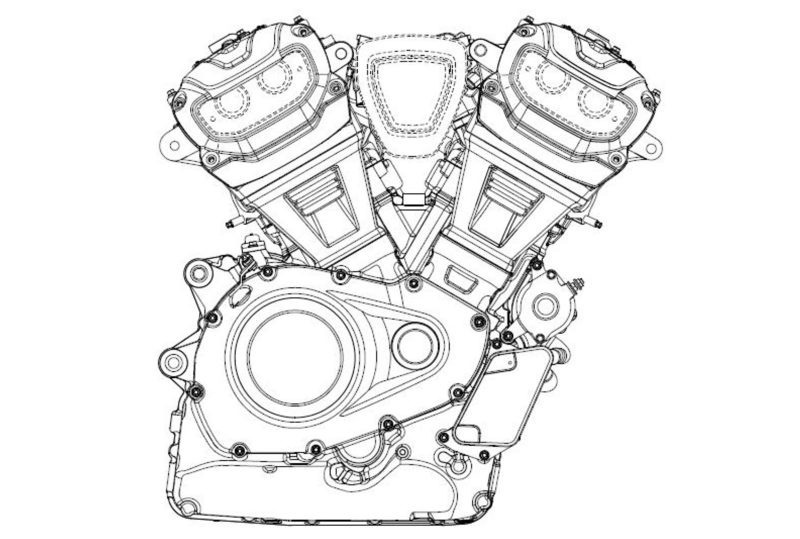 The Custom 1250 (above) had different-colored covers for the heads for a two-toned effect. 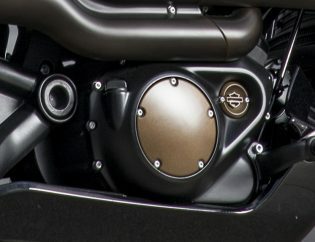 The Streetfighter 975 also had a two-toned engine but with a with a much subtler difference in colors. 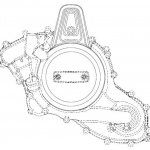 The Pan America 1250 (below) had a slightly different head cover design, lacks a center mounting bolt and with the bottom edge sitting flush with the cylinder cover. 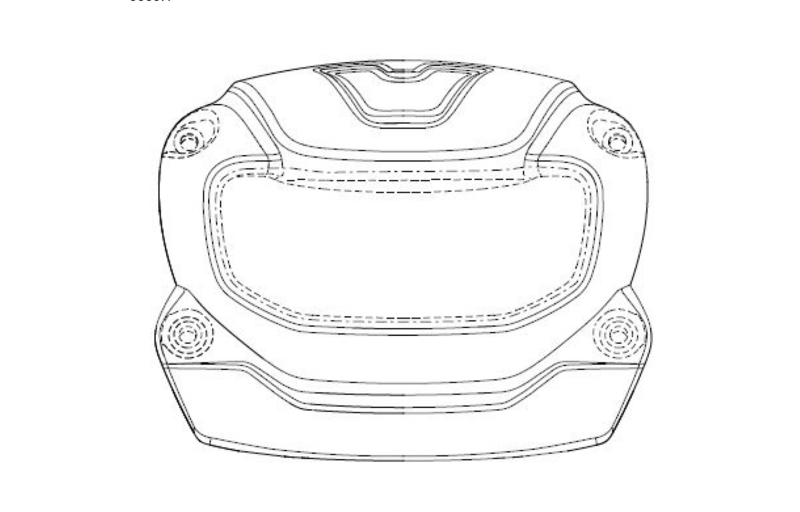 The design filings are a mix of these designs, with no center bolt and a more three-dimensional look. 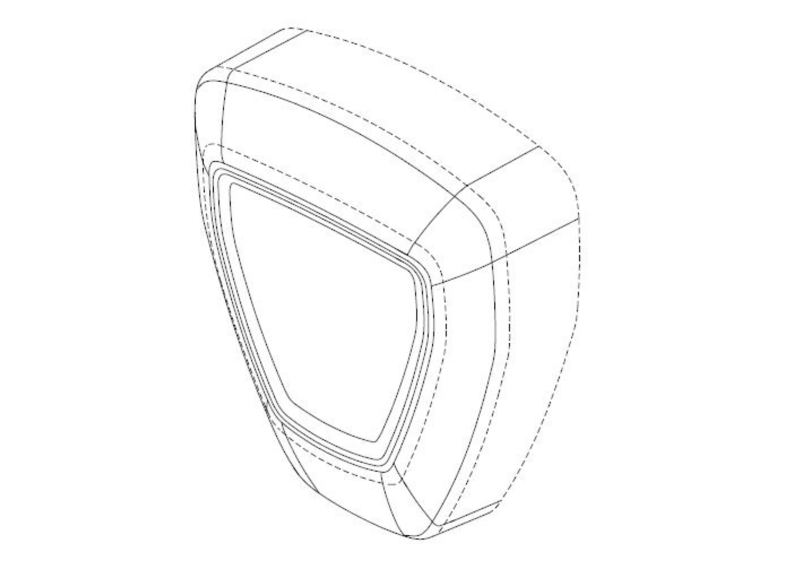 The head covers and cylinder covers remain separate pieces, so we still see mixed finishes on the production models. 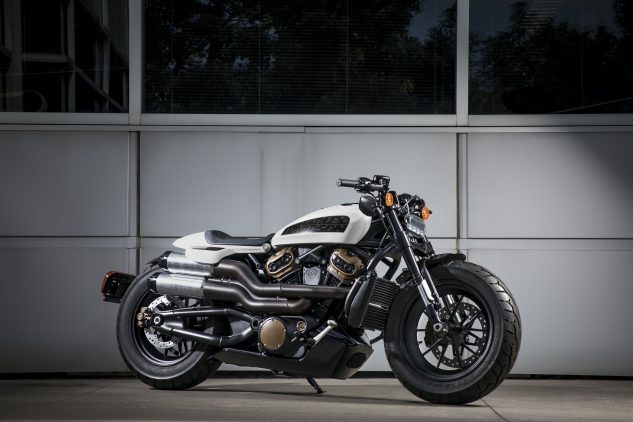 The Harley-Davidson says the Pan America will be launching in 2020 (which may mean it’ll be a 2021 model), making it the first of the concepts to go into production. The Streetfighter is listed as being “planned for 2020” so it’s timeline is a little more fluid. 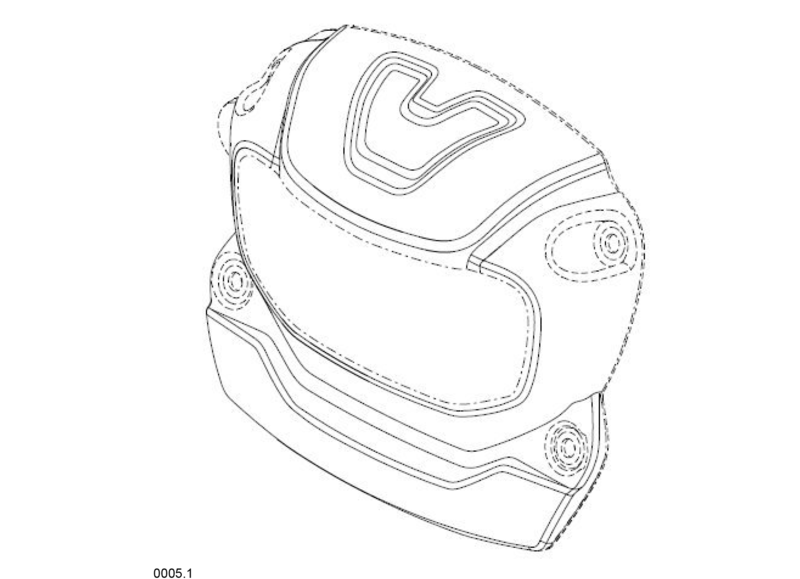 The Custom 1250 is listed as being “planned for 2021”. 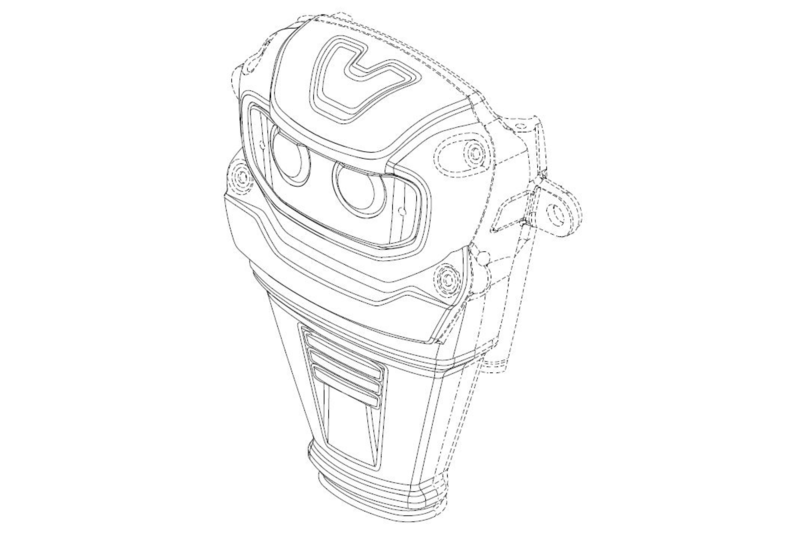 More information about these three models (and likely more) should be coming out in the next few months. 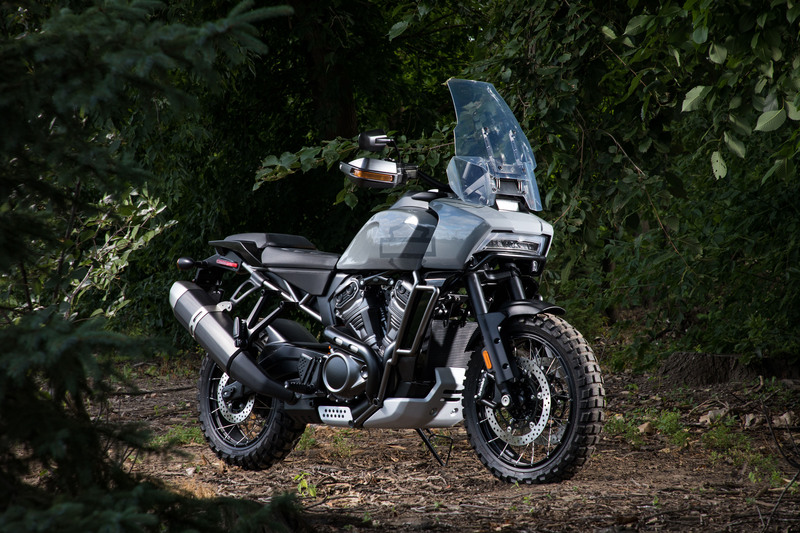 As always, we’ll have the latest here on Motorcycle.com as it becomes available.